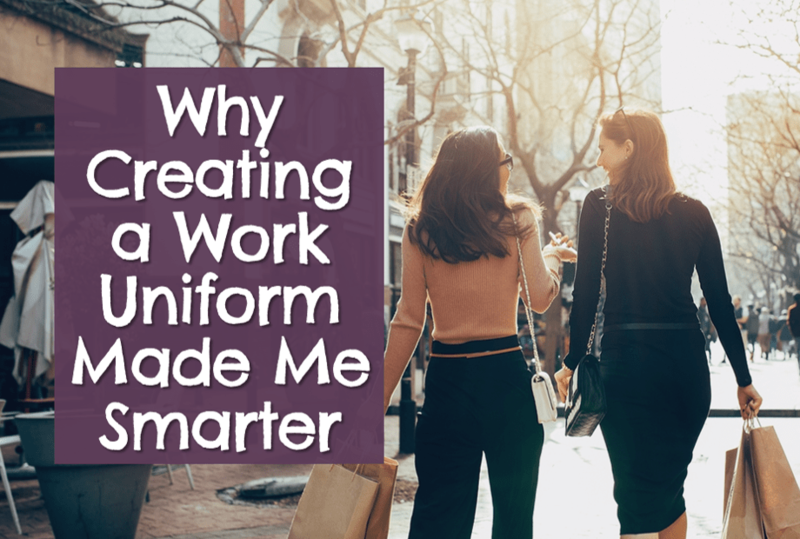 Why Creating a Work Uniform Made Me Smarter | Good Life. Better. In the last few years, I’ve read a lot of articles about how creating a capsule wardrobe—paring back your closet to a small number of items that you wear over and over—can be beneficial. When a recent weight loss meant I needed to buy some new clothes, designing such a work uniform for myself became super appealing. I hope to lose more weight over the next year so don’t want to spend a lot of money on clothes that will (hopefully!) be too big in the near future. There are lots of reasons a work uniform can make your life easier. First, it reduces the number of decisions you have to make on a daily basis which helps to prevent decision fatigue, a very real condition whereby the energy you have to make good decisions (aka willpower) is depleted based on the number of times a day you have to draw upon it (I write more about decision fatigue here). Second, by reducing the volume of clothes you own, you make it easier to find items in your closet and it makes your closet more visually appealing. As a big believer in the idea of “outer order, inner calm,” I can totally get behind closets that aren’t stuffed to the gills and are easy to keep organized. Finally, it makes good financial sense: even if you are spending a little more per item, by having way fewer items, your overall clothing budget goes way down. Moving from being intrigued by the benefits of a signature look and actually adopting one took some time, however. From kindergarten through 5th grade, I went to a Catholic school where we were required to wear a uniform. It wasn’t particular attractive—green plaid bottoms and a white top—and it was probably made less so by the Army green leg warmers I wore under my skirt (what can I say—it was the 80’s and the school had an unreliable heating system!). When I transferred to public school in 6th grade, I didn’t miss the green plaid but I did miss the uniform. Having to get up in the morning and decide what to wear was just miserable. Being overweight didn’t help. There wasn’t a huge selection of plus size clothing back then but even if there had been, I would probably have still hated deciding what to wear since no matter what I picked, it wouldn’t have made me look like one of the popular girls. In my 20s and 30s, I tried to be fashionable but don’t believe I ever quite succeeded. Inevitably, when I tried wearing one of my “stylish outfits” I would just feel awkward and like I was wearing a costume. Afterward, I would wash it and stuff it in the back of my closet, once again turning to my favorites which, while they weren’t ugly or cheap looking, weren’t what I thought of as fashionable. What I didn’t realize until pretty recently was that my interchangeable sameness wasn’t actually a bad thing. One of the reasons it took me so long to figure out that I had a uniform was I kept getting hung up on the idea that to have uniform, you need to identify not just a type of clothing but a specific piece of clothing that you are going to wear over and over. So, for Facebook’s Mark Zuckerberg, this would be owning more than one of a specific t-shirt and wearing it most days. 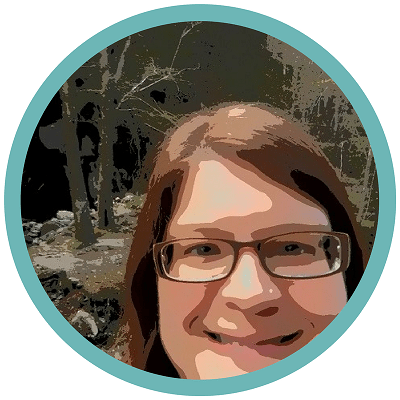 In my case, it was easy to identify my uniform pants and shoes: black or grey slacks, black boots or flats, or maybe a black shoe with a small chunky heel if I was feeling adventurous. But with tops, no matter how many times I tried to identify a particular color to embrace for every occasion, I just couldn’t do it. Sometimes green is my favorite color, but other days it is red. Black is a good color for me, but then so is bright white. And then it hit me. My uniform isn’t a particular shirt or color or fabric, but a particular type of shirt. For tops, I like flowing fabrics, usually sleeveless, with a jewel-neck cardigan or suit jacket if the situation calls for it. I mostly wear solid colors but am occasional drawn to a pattern. Stripes? By the time I was in my late 20s I realized that striped tops go into my closet, never to come out again (unless I am taking a bag to the charity shop). I don’t know why but no matter how much I liked it in the store, I never end up wearing it. Having a uniform has simplified my life in ways I couldn’t have anticipated. First, my clothes all go together so if one pair of pants is dirty, I can just grab a different one. Second, it makes shopping so much easier. I have always loved to shop but right now my time is very limited so I can’t drive all over town and spend hours browsing. 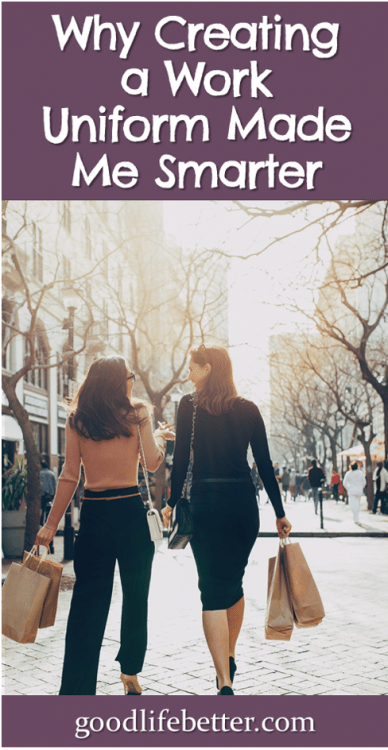 Having already narrowed down what I am looking for before I walk in the door lets me focus in on the few things that I know could work and quickly decide whether I want to purchase an item or not. Third, I no longer apologize for buying the same thing in three colors. This isn’t a sign of laziness but something that I should celebrate! And finally, I no longer feel the need to buy only items that are on sale or to shop only if I have a coupon (although it is an added bonus if that is the case). Paying full price for something I know I will wear over and over again may sting but since my cost per use will inevitably be low, I can go for it without feeling guilty. Do you have or are you contemplating designing a uniform for yourself? I would love to hear about it in the comments section.